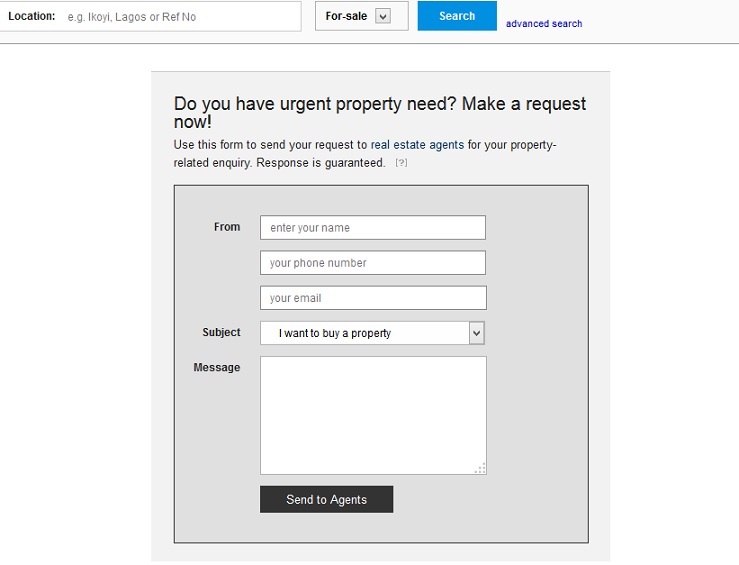 /Alerts and Notifications /Get Started with hutbay /Can I make a property request on hutbay? Definitely! Just go to www.hutbay.com/requests. A page like the one shown below will appear. Fill the form shown, as appropriate. Remember to hit ‘Send to Agents’ button and your request is received by hutbay. Hutbay will send you notification by email or SMS when any property that matches your criteria is available.